A fairly new yearly conference, the Medical World Americas in Houston, Texas , will serve as a venue for HD Medical’s demonstration of their groundbreaking visual stethoscope, the ViScope™. 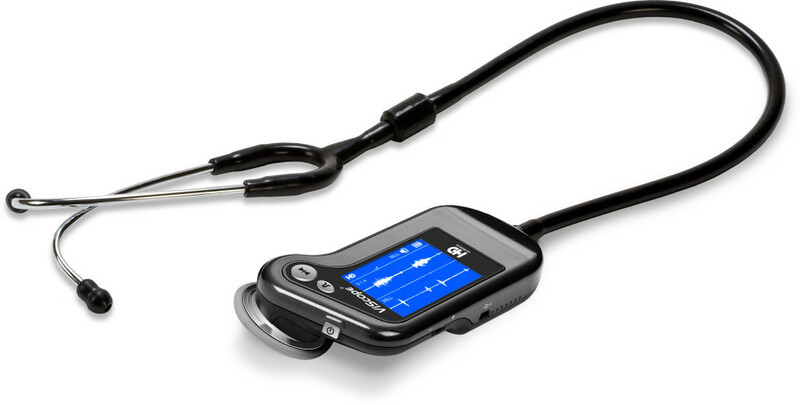 This recent advancement incorporates a display on a stethoscope, giving healthcare professionals the ability to conduct “dynamic auscultation™”, which lets them visualize auscultated cardiac sounds in waveform. The device projects good sound quality and an amplification 30 times more audible and clear, when compared to a standard stethoscope. The company has dedicated more than 10 years perfecting its patented noise reduction. Aside from real-time sound visualization, the ViScope gives the user the option to record these heart sounds up to 10 seconds, which is often enough for healthcare professionals to draw conclusions from. The recordings can be synced to a computer that has the device’s desktop software installed. The software comes with an adjustable filter that lets the user enhance particular sounds of interest such as S1, S2, S3, and S4 sounds. The device’s usefulness in timely screening for defects in the heart has been substantiated by several intensive clinical trials. Muthu Krishnan, the Senior Vice President of Business Development for HD Medical, noted that the ViScope is the first of its kind. The device’s recording and visualising features will elevate the use of the stethoscope as an essential tool in maintaining more accurate electronic medical records (EMR). The device can also function for telemedicine purposes, such as distant patient monitoring. Christian Piencka, the Director of Marketing for Medical World Americas, said that HD Medical is one of the highlights of the conference, and is listed among the most accomplished medical device companies capable of reshaping healthcare. HD Medical’s ViScope has received the 510 (K) clearance from the US Food and Drug Administration, and is currently awaiting its certification for CE compliance. The device is available through the company’s website and from select distributors nationwide.